STO understands Oil, Gas, Power and Chemical 'Shutdown, Turnaround and Outage' challenges - which is why our clients are more effective at executing their time-critical events. STO aids in the management of Shutdowns, Turnarounds, Outages and TAR events with a proven industry workflow, developed in conjunction with BP. 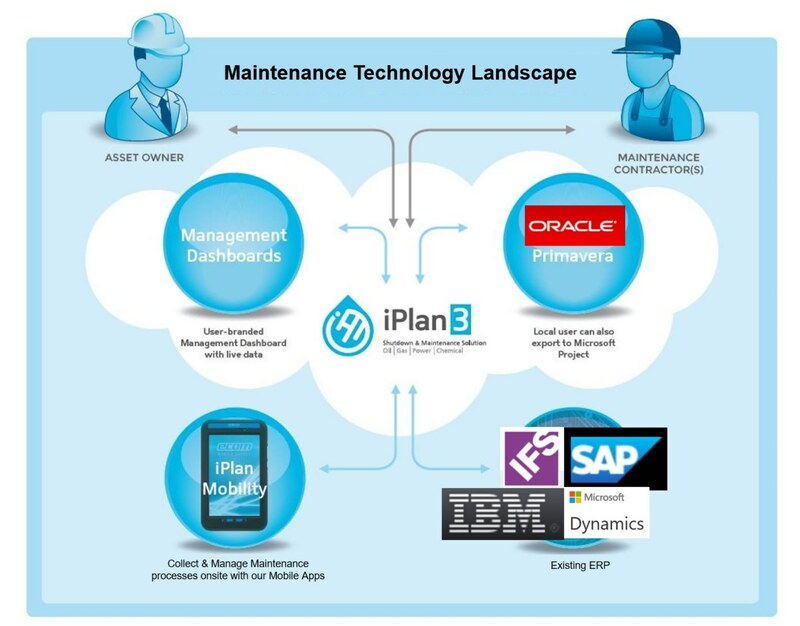 Unlike other maintenance software, STO is a complete management solution for the entire project and asset lifecycle. STO allows you to both plan and execute your time-critical event. STO allows the Asset Owner to remain in control and fully up-to-speed with their time-critical events. All information entered into STO is controlled by its proven workflow and accompanied throughout by comprehensive revision history; this enables maximum control. Through the same benefit, STO enables the Maintenance Contractor(s) to safeguard and maximise the value earned from an event. All STO key stages can be managed, including: job sketching, job detailing, estimation management, materials ordering, variation control, progress recording and time recording through to quality assurance, which means that all event information exists in one system and is not spread across multiple systems. STO produces multi-discipline work packs, which can include but are not limited to: job cards, permits, vessel entry and risk assessments, ensuring those performing the work are equipped with the necessary permissions. STO has the ability to retain all historical equipment records/work packs. This history can be reutilised time and time again, reducing the time involved in re-planning. The Norms and schedules of rates within STO enable rapid estimation and can be fine-tuned based upon evaluating the learning from previous event activity. IAMTech's mobile apps allow users to benefit from the functionality of STO in the field, capturing defect data, quality assurance progress and emerging works. To deliver maximum value, STO enables both the Asset Owner and their Maintenance Partners to share the same plan, offering the optimum in transparency and a clear audit trail. STO can be used as an alternative to CMMS systems or can operate as the 'glue' between ERP systems, such as SAP, Maximo and Primavera. With a proven in-built planning methodology and workflow, STO makes it easy for professionals to perform to consistently high standards. In using STO, Asset Owners and Contractors will save significant time and money due to the efficiencies created in using software that has been designed specifically for STOs. Accompanying STO's workflow is the ability to store any ancillary materials within a given event , such as drawings, photographs and documentation. With an unlimited number of seats to an STO license, users can access and update the software on site or remotely with varying levels of access. Quite often a site will use maintenance management systems, such as SAP or Maximo as well as scheduling tools, such as Oracle Primavera and Microsoft Project - and let's not forget Microsoft Excel - in a bid to effectively manage events. From the sheer number of interfaces the above solutions require, the task of using these systems cohesively and efficiently can be a significant challenge. STO acts as the glue between SAP, Maximo and Primavera, using the data in these systems in an interface that ensures it is used effectively by as many people involved in the work as possible. STO can complement these other systems if already in use, OR if an organisation has not made the significant investment in these other systems, STO can be used as an alternative. In this scenario, STO will save the industrial Asset Owner significant time and money when compared to purchasing SAP, Maximo or Primavera as their ERP system of choice. To deliver maximum value, STO enables both the Asset Owner and their Maintenance Partners to share the same plan, ensuring all those involved are contributing to and delivering the same scope of work via a standardised workflow, which has been developed in conjunction with BP. Shutdown / Turnaround software is also available from: Roser ConSys - FIIX - SAFRAN - Prometheus Group - Hard Dollar - InEight - Interplan Systems - i-Cura - Pipeline Group - Shires - Sockeye - XER 7. Ours is available today for £2.5k per month for a site licence and £0.83k per month for a single user.